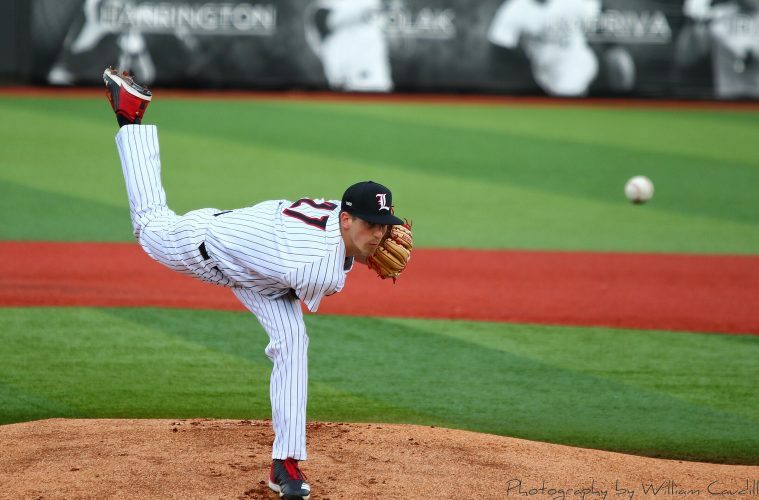 The Louisville Baseball program continued their great start to the season this past week, going 4-0 with wins against the Eastern Kentucky Colonels (1-6) and a 3 game series sweep against the Youngstown State Penguins (1-5). The unbeaten week preserved their unbeaten season, with the #13 Cardinals moving to 7-0. All their contests have been mostly confidence builders up to this point, including their upcoming three game home series this week against the Western Carolina Catamounts (1-6). But this week they also get their first taste into some real competition with a midweek game against the Xavier Musketeers (3-4). All Louisville Baseball games are ticketed entry this season for the very first time, and can be purchased through Ticketmaster here. Berm seating is $5 with reserved chair back seating costing $10. In case you cannot make it to the games, all 4 games this week will be featured on ACC Network Extra. 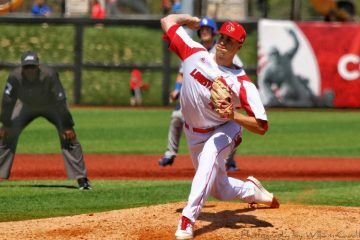 Four of Louisville’s seven games this season have featured pitchers making their first collegiate start (Adam Wolf vs. Richmond, Liam Jenkins vs. George Mason, Riley Thompson vs. The Citadel, Reid Detmers vs. YSU). Outfielder Josh Stowers has reached base in 21 consecutive games, going back to May 14th, 2017 vs. Clemson. 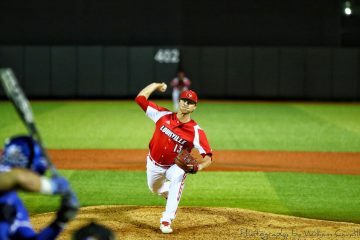 Adam Wolf’s seven scoreless innings in his Friday start against YSU extended his career long scoreless streak to 20 innings, dating back to a relief appearance against Oklahoma in the 2017 Regionals. 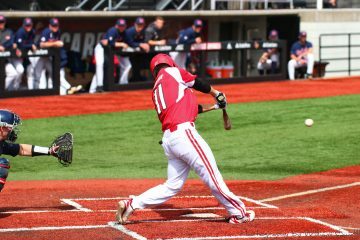 In the Saturday game against YSU, Jake Snider matched his career high 3 RBI, while also setting a new career mark of reaching base five times. He was 2-2 with 3 walks, and also stole 3 bases in the 8-1 win. Devin Mann’s grand slam in the Sunday series finale was not only his first career grand slam home run, but it also set his career mark for RBI with 4. All games featured this week will take place at Jim Patterson Stadium. Looking at the stats, it’s hard to tell if it paints the whole picture for the Xavier Musketeers. None of them really jump out, especially on the pitching side of things. However this could possibly be attributed to the fact that their first three games of the season were (mostly blowout) losses to #5 Florida State, which Louisville knows first-hand how difficult they are to deal with. Their resume doesn’t really make it any clearer either. 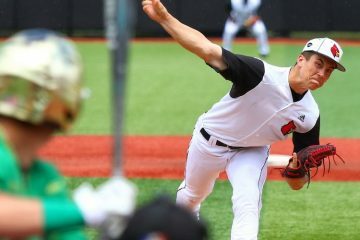 Aside from going 0-3 against FSU, they also have a 16-2 loss by the hands of Wofford College, yet have a 3-2, 10 inning victory over Kentucky in Lexington. 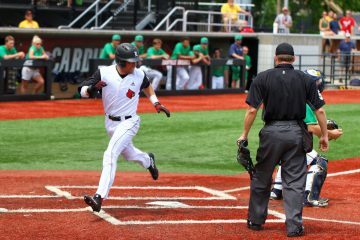 Their main threat comes in the form of outfielder Joe Gellenbeck, who ranks in the top 50 nationally in hits (13) and batting average (.481). Also a power hitter, he ranks in the top 150 in OBP (.533), slugging percentage (.741), doubles (3) and triples (2). If our young pitching staff can limit the damage he can do, the Cards should be able to come out on top. It’s a little easier to tell who the Cards are coming up against when looking at the stats for the Western Carolina Catamounts. Most of their stats are extremely subpar, especially when it comes to pitching. Home runs are the main stat that jumps out, and this can be attributing mostly to infielder Andrew Bullock and outfielder Matthew Koehler having 2 homers a piece early in the season. As long as these two don’t turn the series into a home run derby, I fully expect the Cards to come out with their second sweep of the season. 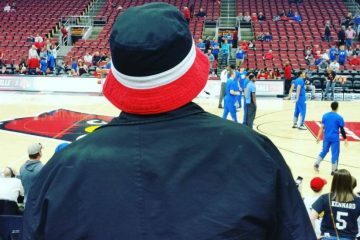 As stated earlier, Louisville has their first real chance of the season to snap their unbeaten streak when they face Xavier on Tuesday. The key will be to limit Joe Gellenbeck’s productivity, and to get our young bullpen in a groove. If Gellenbeck has a quiet day at the plate, I think the Cards will come out with a solid victory. If he makes some noise, look for possibly a narrower win or maybe even our first loss of the season. 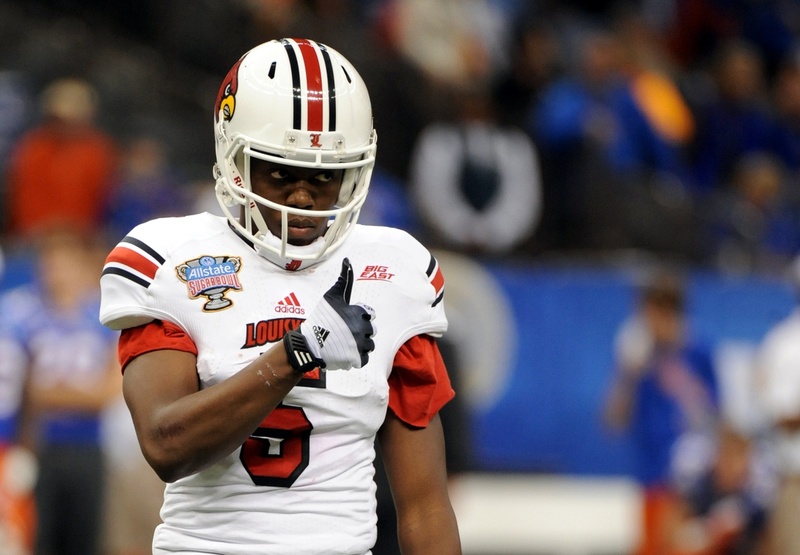 However, I predict that Louisville comes out on top against the Musketeers. and follows that up with a sweep of the Catamounts to move to 11-0 in 2018.